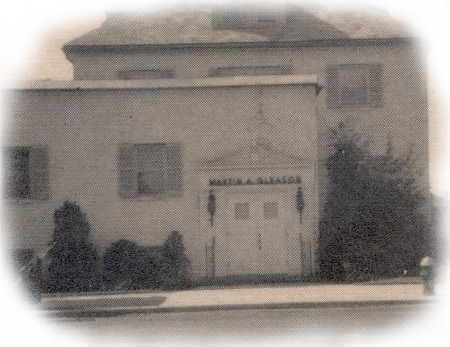 Martin A. Gleason Sr. established the Martin A. Gleason Funeral Home in 1913. At that time, it was a one-man operation. Our first location was in a 12' by 36' store where the Whitestone Expressway winds through 150th Street. Anna R. Farmer, a secretary in the adjacent Real Estate office answered Mr. Gleasons' telephone by putting her hand through a hole cut in the wall between the two buildings. That telephone # (FL 9-1122) is the telephone # we still use. This courtesy allowed Mr. Gleason to serve the trade and build his business. Anna Farmer and Martin Gleason were later married. 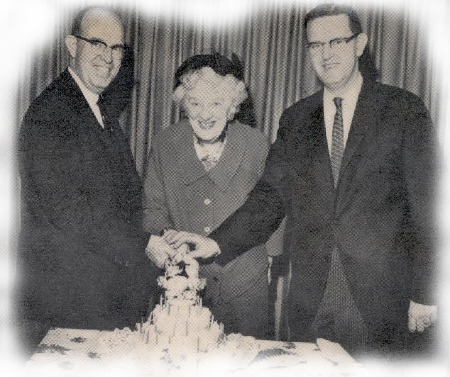 John M. Gleason, our former board chairman, the late Edith Gleason Cuddy, And Martin A. Gleason Jr., our former Vice-President, were children of this marriage. All served the company at an early age and for many years. Before the use of Funeral Homes became the norm, the business was operated from various locations, including 5 North 8th Avenue (next to Blankfein's Hardware,) Main Street at Northern Boulevard (next to Mc Cardell's Livery Stable where the Keith's Theater was formerly located,) and Roosevelt Avenue (across the street from where Macy's is located.) Our present Flushing location at 149-20 Northern Boulevard has undergone several renovations, most recently two years ago. Our present Whitestone location at 10-25 150th Street (the former Gleason residence,) has also undergone recent renovation and the addition of an award winning 30 car parking facility. On January 2, 1945 family and employees were shocked saddened by the untimely demise of Martin A. Gleason Sr. Mr. Gleason succumbed to a coronary attack as a result of the unusual pressures created during World War 2. At this point, John's wife Beatrice became heavily involved with maintaining and operating the business, and did so, until John returned at the end of the war. During this time she assisted in arrangements and drove hearses and ambulances. Beatrice's father, William Newburg, a former New York City Police Lieutenant and County Commander of the American Legion, was associated with the business at this time and assisted the operating officers from 1946 until his death in 1953. 1949 saw the coming of Louis T. Russo, his insight and experience, along with that of John and Martin (who joined the firm in 1948) truly was a successful combination. Mr. Russo's knowledge and sensitivity to our families helped establish Gleason's as one of the leading Funeral Homes in Queens. Martin A. Gleason Jr. graduated from the distinguished Renouard School of Embalming and funeral directing, as John had done several years before. In the early 1950s Martin entered LeMoyne College, in Syracuse, N.Y. where he earned a Bachelors' Degree in Business Administration. Martin also completed Management studies at the National Foundation of Funeral Service in Chicago, Illinois by 1959. Edith Gleason Cuddy, with her background of New Rochelle College and Fordham University, was actively involved in providing advise, leadership and training in the years leading up to her untimely death. On March 31, 2000 John and Marty Gleason retired and sold the business to John A. Golden and Robert J. Gallagher, both longtime Gleason directors, with over 60 years experience between them. Mr. Gallagher joined the firm in the early 1960's and Mr. Golden in the mid-1980's. John A. Golden convinced his brother, Thomas A. Golden, a retired detective with the NYC Police Department, to go to school and obtain a funeral director's license, which he did. He obtained his license in January of 2004. In 2004, John A. Golden made his brother a part owner of the business. Mr. Gallagher retired from the business in December 2010, although he still helps out with arranging and directing funerals when needed. 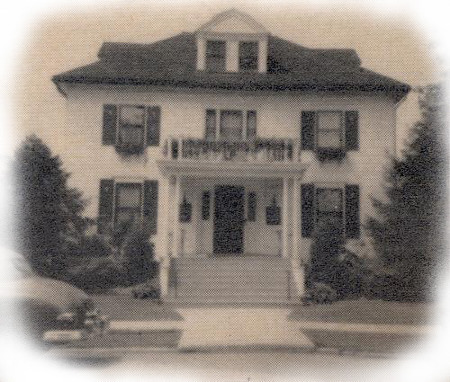 John and Thomas Golden are proud to continue the Gleason tradition of caring, personal service for over 100 years.